I believe that I have fallen in love with memoirs and my latest read was exceptional. 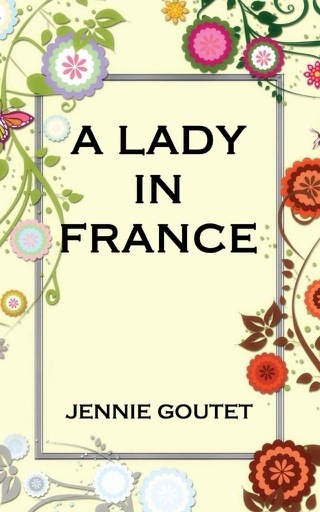 A Lady in France is Jennie Goutet’s memoir that takes you through her life. The good, the bad, the ups, and the downs and it’ll be a book that will have you smiling, nodding your head in agreement, and at times crying. I first learned of Jennie through blogging and have been reading her blog for a couple years now. I have become fully enchanted with it because she has done what so many haven’t…. she set out with a dream for her life, to marry a French man and live in France, and she did it. She and her family live outside of Paris in a home that they have spent a great deal of time looking for and renovating. Jennie first started her memoir on her blog and I was going to read the posts but they seemed so long and I usually found something else to do. But I did buy the book! I’m starting to wonder if everything happens for a reason and this is why. When she started writing posts on faith I read them and commented once that I liked them even though I wasn’t a believer but my life changed and I found my way to God. I didn’t know much about her memoir but I do believe that it came at the right time and that is why I think things happen for a reason as well. As I read through it I was amazed at the parallels in our lives and how much I wanted to know more about her, her walk in faith, and how she got to where she is today. Aside from that she has traveled to incredible places, Europe, Asia and Africa, helped out so many people in life, spread joy and love, all the while battling her own demons…. depression and anxiety (something that I too deal with). I feel that she is one of those people that you wish you could be, one who has done so much good in their lives and experienced so many things and all in a short amount of time. Her book is wonderful, heart warming, and beautifully written. I consider Jennie to be a friend and value that deeply as she has touched my life through her words in her book as well as through emails that we have exchanged. Even if the friendship wasn’t there I would highly recommend this book to anyone that I know it is most definitely worth the time to read. If you haven’t visited her blog yet take a few moments to read and I’m sure that you too will love it. This is one of those books that once you start you simply can’t put it down. It pulls you in and tugs on your heart and emotions so strongly that you have to know what happens next. The Invisible Girls – A Memoir by Sarah Thebarge is the story of Sarah as she is diagnosed with rather aggressive breast cancer in her 20’s. She is excelling in life with a loving boyfriend, has an Ivy League education that she worked very hard to achieve, and a successful career when she is told that she had breast cancer. Having been raised in as the pastors daughter in a fundamental Christian home, Sarah believed that God was angry with her for something that she had done in her life. But she could never figure it out. She struggled with her faith throughout the book as she battled cancer and eventually came back to it. All through out the book you learn more and more about Sarah and how incredible brave she is, how much she endured, and how the human spirit when beaten down can make a miraculous recovery. It was a very inspiring story to say the least. After she is well again Sarah decided to make a clean start, far from everything that her life was. She packed up and moved to Portland, Oregon… as far away as she could get. It was there by chance, on a bus, that she met a family of refugees from Somalia. Hadhi, a Somali refugee abandoned by her husband, was struggling to raise five young daughters alone in a culture she didn’t understand. She and her daughters, Fahri, Abdallah, Sadaka, Lelo, and Chaki, became very close with Sarah. It was Sarah who helped the family get food, proper clothing, heat, and other basic necessities that we take for granted. Through helping Hadhi and her daughters Sarah was able to begin her own healing process and really start her life again. The more memoirs that I read I find myself really enjoying them. They’re full of life that is so very real, they’re heartbreaking, inspiring, and tell the journey of someone very real…. someone that you could pass walking down the sidewalk one day. 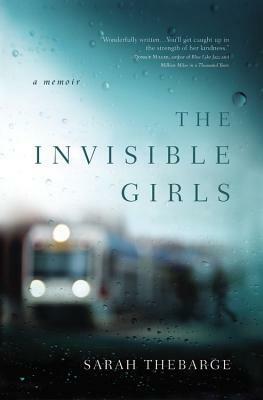 You can check The Invisible Girls on Amazon and Sarah on her personal website. Disclosure: I participated in a campaign on behalf of Mom Central Consulting for Jericho Books. I received a product sample to facilitate my review. Diary of a Submissive has been called a real “Fifty Shades of Grey”…. a true story of Sophie Morgan (not her real name of course) and her journey through sexual exploration and into a relationship with her very own “Christian Grey”. It was interesting to hear the story from a real person, from someone who is just like the person sitting next to you on the bus, or even on the playground bench watching their kids play with yours. Sophie comes from a completely normal family like most of us, she wasn’t abused. She didn’t have a hard life growing up, her parents are still happily married and she’s still on very good terms with them. So what would cause someone to want to be dominated and forced to do some humiliating and sometimes painful just for pleasure in the end. I’ve read a similar book series written by Anne Rice and while reading that I couldn’t believe that people would actually do that. I knew that people did odd/strange things but the book was fiction, right? It wasn’t until Diary of a Submissive that I realized it was real… there are people out there who really enjoy this type of lifestyle. I will say that this book is open, honest, and detailed enough to cause you to blush if you’re not used to reading books of this nature. Sophie goes into great detail about her experiences, what she likes, what she has done, and how she felt the entire time while doing it… definitely graphic at times and possibly not for everyone. If you are interested in following Sophie Morgan check her out on Twitter and you can also join the conversation over at BlogHer. This is a paid review for BlogHer Book Club but the opinions expressed are my own.